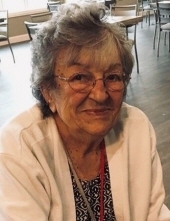 Cecilia (Rupcich) Wenzel, age 88 passed away peacefully on January 15, 2019 at Century Oaks in Appleton, Wisconsin. She was born January 26, 1930 in Town of Lake, Wisconsin, and spent her first 84 years living in a 3-block radius of her birthplace. Her final four years were spent in Appleton. Ceil will be remembered and missed by all who knew her because she was hard to forget. Her personality had a special combination of kindness and love sprinkled with sass and silliness. Her love of people and friendships came naturally to her. She was blessed to have had a full, long life surrounded by her lifetime friends and family. She is survived by her children: Ron (Marion) Wenzel, Richard Wenzel, and Cheryl (Carl) Schultz; her grandchildren: Robert (Sheena) Wenzel, Craig (Kaylee) Wenzel, Tony Wenzel, Jen (Matt) Skjerven, Steven Schultz, and Eric Schultz; and great grandsons; Nicholas and Liam. She was preceded in death by her brother Steve Rupcich, her husband of thirty-two years Ronald Wenzel, daughter-in-law Debbie Wenzel, and a sister Rosemarie (Ralph) Makowski. Per Ceil’s wishes private services will be held. Her family would like to extend their sincere appreciation to the many who have helped her along the way, especially the staff at Heartland Hospice and Century Oaks Assisted Living. You ALL ROCK!! To plant a tree in memory of Cecilia Wenzel, please visit our Tribute Store. "Email Address" would like to share the life celebration of Cecilia Wenzel. Click on the "link" to go to share a favorite memory or leave a condolence message for the family.